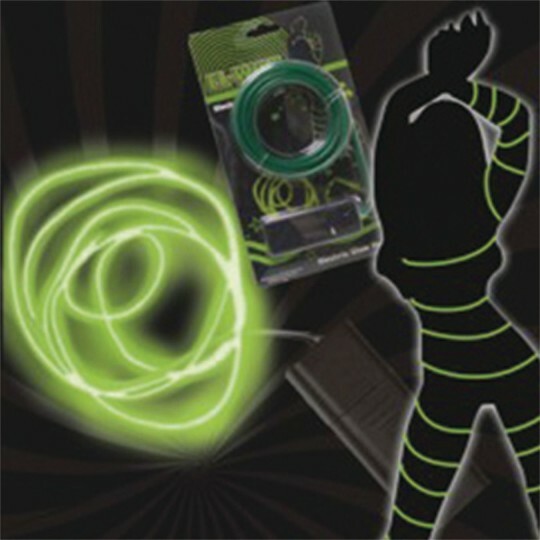 Brighten up your party with our El Wire! This light-up glowing strobing wire is perfect as part of a costume or to incorporate into your party decor. 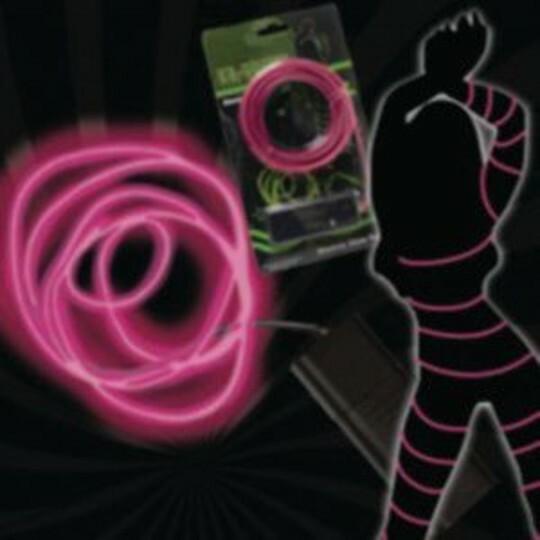 Measuring 116” long, the bendable light-up white wire has a wide range of uses that are only limited by your imagination! 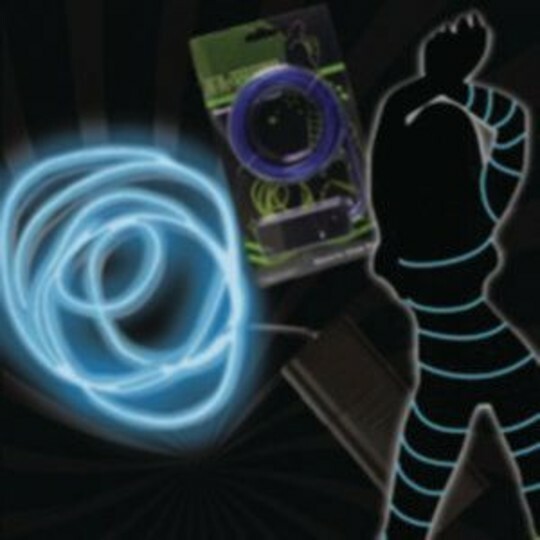 Dress yourself in black and wrap the White El-Wire around yourself to create a fabulous Glow Man costume for Halloween. Great for productions, dance competition, cheerleading, at concerts, raves, and festivals or to make any party or event electrifying. You can also use the light-up wire to dress up your party decorations by wrapping it around railings and doorways or using it as part of your table centerpieces. 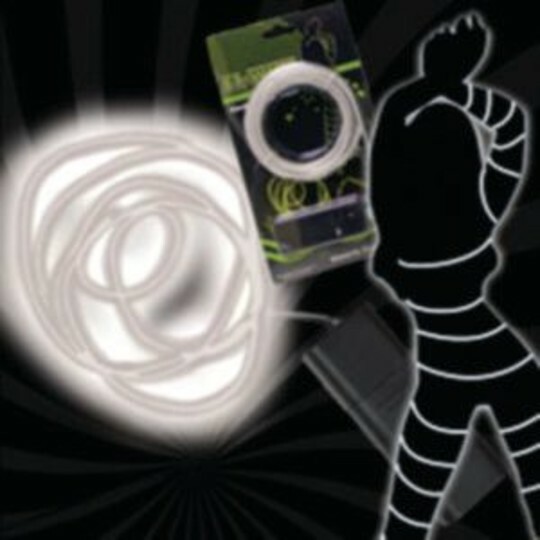 Matching any party theme or color scheme, the light up white wire will kick your party decor into high gear! Each El-Wire is powered by 2 “AA” batteries (not included).